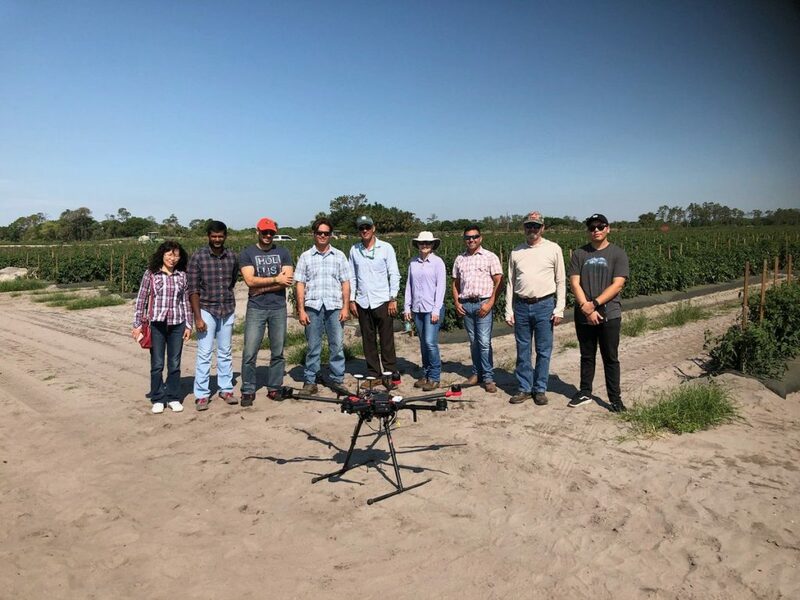 Remote imaging can effectively detect a pathogen that endangers the $100 million-a-year Florida avocado industry – even before the trees show symptoms — University of Florida scientists say. Yiannis Ampatzidis, an assistant professor of agricultural and biological engineering at the UF Institute of Food and Agricultural Sciences, led recently published research that shows that multispectral cameras can detect laurel wilt on avocado trees. The approach costs less than manually trying to detect the laurel wilt pathogen, Ampatzidis said, though UF/IFAS researchers don’t know yet the cost differential. Avocados provide an estimated $100 million-a-year economic benefit to the state’s economy, according to UF/IFAS research. California grows most of the nation’s avocados, but Florida is the second-leading producer. About 95 percent of Florida’ avocados are grown in South Florida, particularly in Miami-Dade County. So UF/IFAS researchers first infected avocado trees with laurel wilt at the UF/IFAS Tropical Research and Education Center in Homestead, Florida. Then they brought those trees to the UF/IFAS Citrus Research and Education Center in Lake Alfred, Florida, where Jaafar Abdulridha, a postdoctoral researcher for Ampatzidis, tested if the remote-sensing techniques would discern the laurel wilt pathogen. At the Citrus REC, UF/IFAS researchers identified wavelengths that they can use to detect laurel wilt early in avocados. Multispectral cameras can capture data within specific wavelengths across the electromagnetic spectrum, said Ampatzidis, who specializes in precision agriculture. Humans can only see very small areas of the spectrum. The proposed system could detect diseases in asymptomatic stages, thus telling growers earlier that their trees are infected, he said. An unmanned aerial vehicle – or drone — with a multispectral camera can cost between $3,000 and $8,000, Ampatzidis said. Then, if the images show laurel wilt, depending on the disease and its stage, growers can decide to remove a plant, spray with chemicals or utilize other management practices, he said. The new study is published in the journal Computers and Electronics in Agriculture.